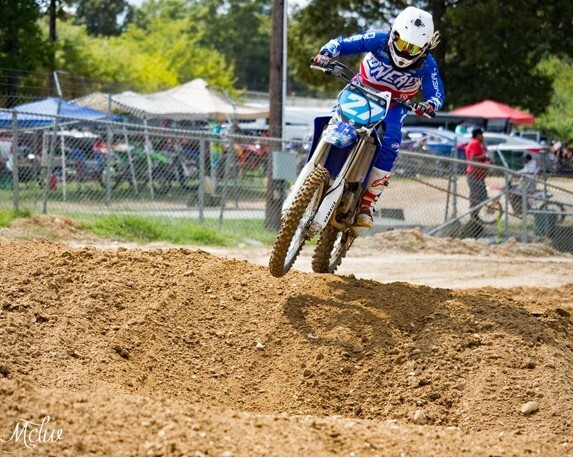 Cheyenne McGuin is an extremely talented WMX rider from Northern Virginia. 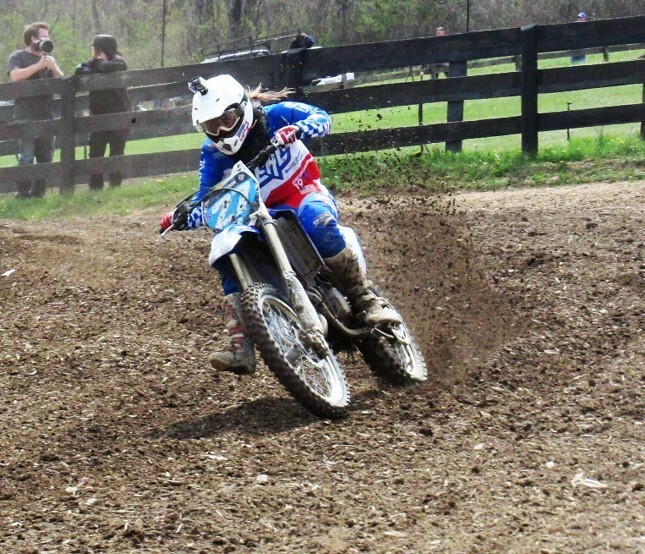 Her athleticism is not exclusive to two wheels, as she uses her dual passion for competitive ice skating to further her moto training. With women like Cheyenne representing the sport of women’s motocross, the future is bright. She is living out her dreams with the help of Wiseco, and this is her story. Cheyenne: Both my parents raced motocross ever since they were young and in high school. I have two older brothers that are 12 and 13 years older than I am, and both of them race. I was pretty much born into riding, in a backpack as a newborn. I started riding at four and I loved it. It's been my passion since! Cheyenne has been ready for the gate drop since 4 years old! Hold on, you just said you were a newborn riding in a backpack? Cheyenne: Yeah, I mean, I was riding around on a motorcycle in a backpack when I was a newborn. I was on motorcycles before I could walk, I started riding [motorcycles] on my own at four. So, it's always been in my blood and it's always been my passion. Cheyenne: I started racing at five years old in 2005. I started on the PW50 and I won my first championship in 2006, and I got the title of the first female to win an AMA district championship in a co-ed class, in the 50cc oil injected class. Before we get into some of your accomplishments, were you ever interested in other types of racing? Did you always race motocross? Cheyenne: I've always been serious about motocross. I've had fun with different hare scrambles throughout the years. 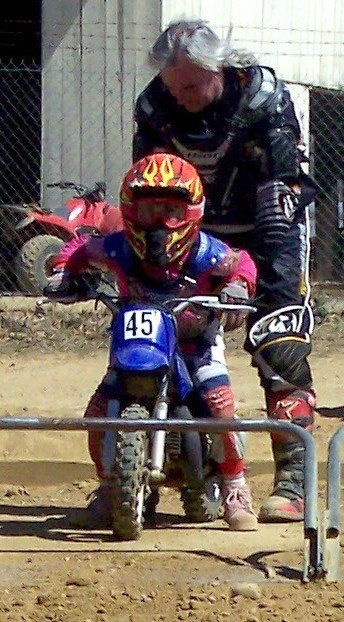 I like to have fun on my bike with my dad, but I've always been serious in motocross. I've always been interested in pursuing other things later, but right now, I'm focused on motocross. I'm also a dual athlete. I'm a competitive figure skater and dancer as well. Would you say ice skating and motocross compliment each other for training? Cheyenne: Well, I would consider it good cross-training in a sense. It's good cardio. I got my strong legs from skating. All the jumping and everything involved gave me my leg strength to keep me standing on my bike. But actually, I started [ice skating] because of my grandmother. She hated me racing motocross! When I started riding at four, she got me into skating hoping I would fall in love with the makeup and the dresses and realize how gross motocross was and quit. It didn't work out for her because now I'm doing everything. Cheyenne has been competing for number 1 plates in more than just MX over the years. Cheyenne: I work with past Olympic Coaches, past Olympians, and I was going to pursue the Olympics for skating, but I just didn't have the time to dedicate full energy to both. Obviously motocross has always been my passion. I focus on being the best I can be at motocross and skating, but I gave up the Olympic path to just really enjoy it. I still compete [in skating], but not nearly where I was originally going for. I skate on weekdays and I'm racing and training on weekends, and I'm in the gym every day too. Getting back to your motocross career, when did you turn pro? Cheyenne: I turned pro in 2016. I was really looking forward to my very first race, being the last race of the 2016 series, or close to the last race. It was supposed to be at Budds Creek, but it got canceled because of hurricane Matthew. It was postponed for two weeks later in New Jersey. The week before, I broke my ankle, and after a couple of different surgeries (ankle and a shoulder) that I had had planned for a year and was finally going to get during that off-season, landed me on the couch for a year. I raced my first pro WMX at High Point the end of 2017, and last year, 2018, was my first full year, my full rookie year, in the pro WMX. Although I got my pro card in 2016, I had to go through a lot of obstacles before I finally raced that first race. Cheyenne raced her first Pro WMX race at High Point in 2017. How did that first race go? Cheyenne: I definitely wasn't where I was supposed to be. I was on the bike two months before I was supposed to be riding again after my shoulder surgery, and I had ridden for one week and then I drove out to High Point. I was rusty. I definitely did not debut at my strongest, but it was just amazing to be out there and experience it. I did get a top 10 finish, but it was a struggle the whole way through, but I focused on the off-season getting strong and getting back to where I was before. I came into 2018 a lot stronger and where I wanted to be. How has 2018 been for you in regards to racing and injury recovery? Cheyenne: I'm pretty much 100 percent. I've definitely recovered and just keep getting stronger, and 2018 has been going great. For this season, my goal was to get a top 10 finish for the year, and I started off the season getting top 10, 10th place to 15th place finishes, and I slowly was moving my way up. I had a really rough start to my year, and this is where Wiseco came in. My second round of the season at Freestone, I blew up my bike second moto, and my third round which was at Tomahawk, I blew up the second lap of first moto. At Freestone, I was able to salvage my finish even though I blew up because I pushed my bike across the finish line for a last place finish. My third round, sadly, because I blew up the second lap of the first moto, I was out for the weekend. After this being the third round and I was already on my third motor that just blew up, I didn't want to quit of course, but we weren't really sure as a team how I was going to be able to get my bike back together and make up everything that I had lost so early in the season. That’s when I reached out to Wiseco and said, "Hey, look. It's my third round. I've blown up my bike three times. I'm not really sure what's wrong, but I really would love your help." I got a Garage Buddy Engine Rebuild Kit for my bike, and starting the fourth round of the series from there, the bike has been so strong, and it’s unbelievable! The first few rounds, I was getting last place starts and 10th to 15th, and my bike would blow up whenever I wasn't finishing, and after Wiseco had helped me, I was strong. My bike was strong. I was getting top 10 finishes, and at Ironman, I got a top three start, and I finished in the top five. It was my very first top five in the pro ranks, and I was so thankful for Wiseco because I wouldn't have made it this far, and I wouldn't have been doing as well as I'm doing without them. Cheyenne struggled with bike problems for multiple races, but finally did a complete rebuild with Wiseco engine internals to get her engine back to new and reliable again. Did you ever figure out what was causing your bike to blow up? Cheyenne: The stock rod that was in it, OEM, we did everything we could when we were rebuilding the bike, and the crank was clean, it could rotate and it wasn't loose. Everything seemed fine with it, and we couldn't figure it out. We measured it, we did everything. My mom walks into the kitchen, the motor is on the kitchen table, and she says, "Doesn't that rod look a little bit offset to the left?" After looking at it, we realized the rod was not balanced. It was offset to the left, and so it was grinding my piston into my cylinder, and that was what was causing all my blowups. My bike would blow up every three hours, and she just walked in and noticed it. After we got Wiseco put in the bike, everything Wiseco, it's been so strong since. 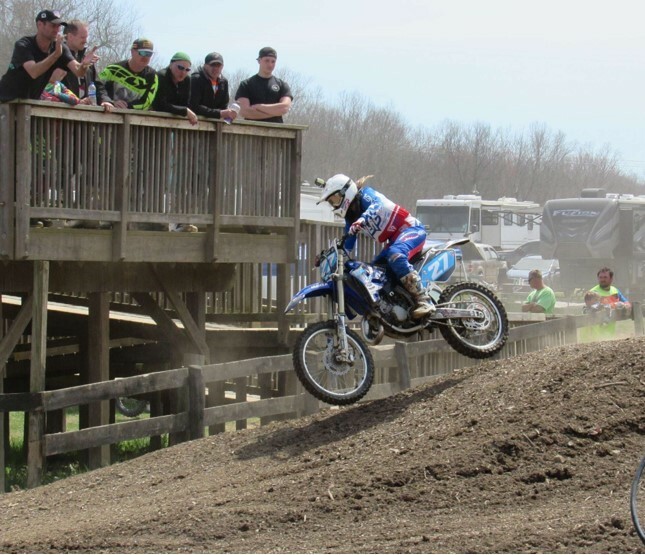 Cheyenne's YZ125 and YZ250 were rebuilt with Wiseco Garage Buddy Engine Rebuild Kits. Check out more on these kits HERE! 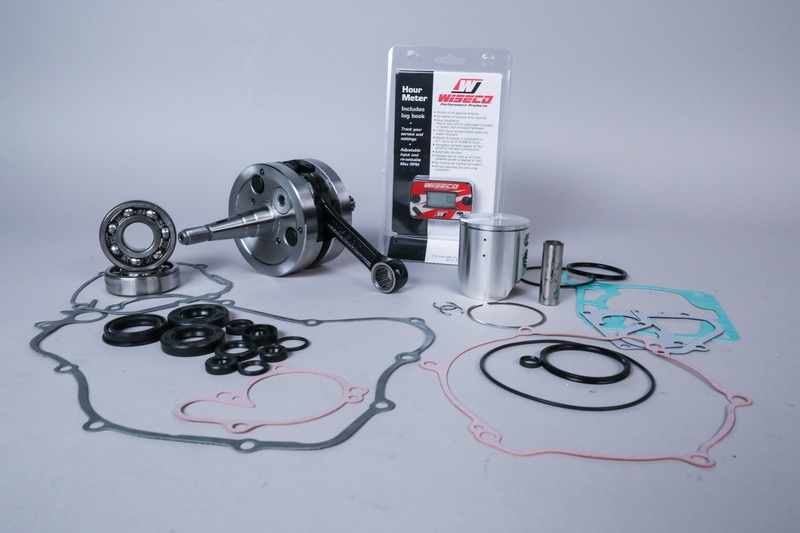 Find Wiseco parts for your bike here. What are the rules for the Women's class and what do you ride? Cheyenne: The rules are you can't go above a 250cc, and you have to have a big wheel bike 124cc or higher, 124cc to 250 cc. I actually have a YZ125, and I'm also on a YZ250. I choose my 125 because it's light and small and easy to corner and easy to throw around. Our first round at Daytona Supercross, I did on my 125. But if it's a huge, wide-open, fast track, like High Point for example, with the big hills and big jumps, I get on my YZ 250. I swap between the two based on whatever the track conditions are. 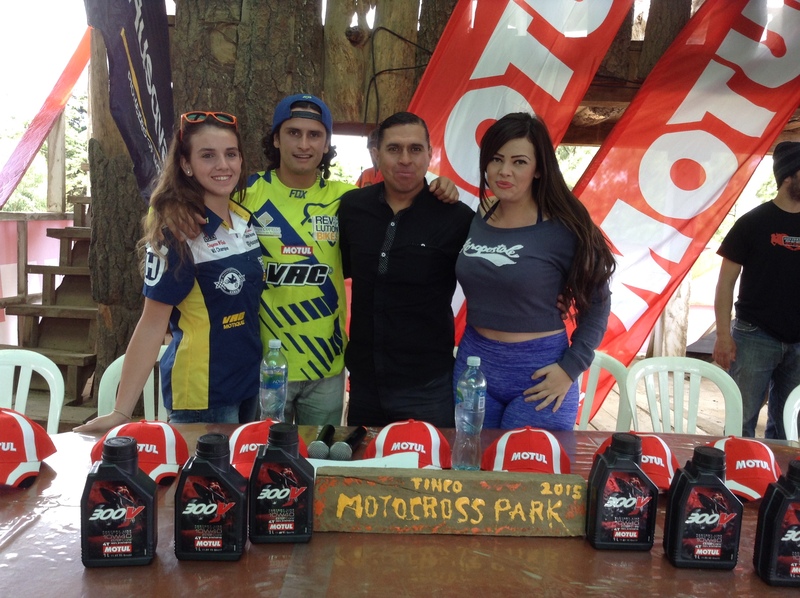 It appears you've done some international racing, like Supercross in Guatemala. How was that? Cheyenne: Absolutely amazing! Vicko Castillo was the 10 time pro-national Guatemalan champion, and I met him in Maryland where he was attempting to get a title from the United States. I was training at Budds Creek, and he was up on the balcony watching. He was like, "Man, that dude is really fast," and then he saw me come around in my gear and he's like, "Oh, it's a girl." And then he saw me at my RV afterwards power washing my bike, and he was like, "Oh, she's cute." He came and talked to me, and we became really close. We started training together. He invited me back to Central America during the winter months, when it's too cold here to ride, I rode in Central America with him. It was an amazing experience. I actually won in my 250 class race at the Guatemala Supercross. Cheyenne has seen a lot of success in racing so far, both in the States and internationally! When you're in a different country and you're riding a treacherous track, what goes through your mind? Are you worried about hospital care if something goes wrong? Cheyenne: I guess I didn't really think about that too much, but yeah, Central America is a little bit sketchy compared to what we race in the United States. It's very thin track and not as well-maintained as it is here. Another thing, I'm at a downfall on a bike that I'm not used to, so every factory team gave me a bike there. Honda, Kawasaki, Suzuki, and even Husqvarna, but they were all 250 four-strokes, and I was coming up short on all the jumps. I honestly stressed. Everyone was trying to get me a bike that I felt comfortable on, and I said, "Guys, I really need a two-stroke. It's just what I feel like I'm at home on," and so they gave me a Husaberg 125, like an enduro bike, and I was like, "Okay, this is worse." Some random guy came up to me and said, "Hey, I have a 2003 YZ250, and it's a piece of crap, but you're more than welcome to ride it if you like." I got on it and I felt at home. That's what I raced, and that's what I won the 250 men's B class on. It just proved that I'm just a two-stroke girl. Vicko passed away on the track the end of February, the week before he was supposed to come here to support me in this year in my pro WMX. I had been racing with his number 72 plate that says "In Memory of Vicko" all season in honor of him. It’s been something that I’ve struggled with since the beginning of last year. What would you tell any other girls who want to follow your path and get into motocross? Cheyenne: The only advice is just do it, really. I mean, it's definitely an amazing sport. It's an amazing sport for a family because even at 18 years old, my parents are my backbone, and we all travel together and we get to see the world together. Racing is so much fun, especially when you can include your family in it forever. My brothers are 29 and 30 now, and both of them still travel with us across the world for racing, so if you want to get into moto, just do it. Have fun doing it with your family, and there's a lot of resources out there to enjoy. I hold personal training camps that I love working, especially with other women to help them grow in the sport. I'm actually working on building a big track at one of my second homes so that I can hold week-long training camps that will most likely be focused on females as well. There's a lot of resources out there for anyone that is ready to start. You just got to do it. Cheyenne: Well, definitely of course Wiseco is honestly number one! I would not be finishing off this season without them. They've been the biggest part for me for sure, and then Max Muscle Sports Nutrition has been huge in getting me healthy and getting me strong and keeping me where I need to be this year.